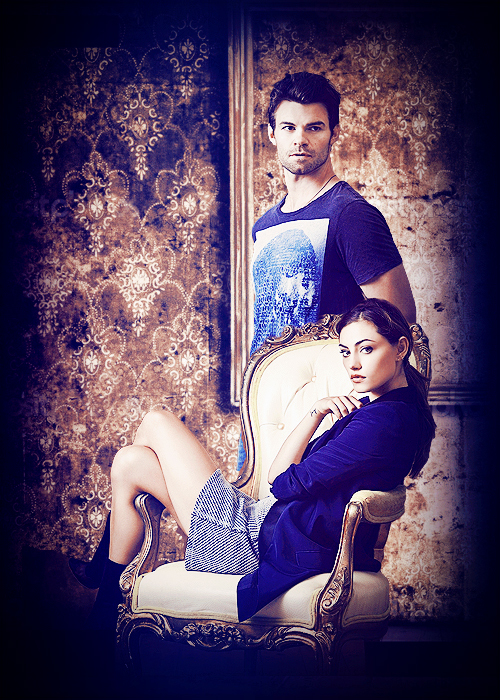 Phoebe Tonkin & Daniel Gillies » SDCC shoot. . Wallpaper and background images in the Elijah & Hayley club tagged: phoebe tonkin daniel gillies the originals. This Elijah & Hayley fan art might contain مہمان خانہ and ڈرائنگ روم.